Chicago is an American rock band formed in 1967 in Chicago, Illinois, calling themselves the Chicago Transit Authority in 1968 before shortening the name in 1970. The self-described "rock and roll band with horns" began writing politically charged rock music, and later moved to a softer sound, generating several hit ballads. The group had a steady stream of hits throughout the 1970s and 1980s. Since at least 2008, Billboard has shown Chicago to be the "greatest of all time" American band in singles chart success, and since 2015, the "greatest of all time" American band in album chart success as well. 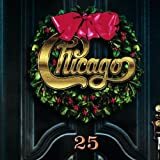 Chicago is one of the longest-running and most successful rock groups, and one of the world's best-selling groups of all time, having sold more than 100 million records. In 1971, Chicago was the first rock act to sell out Carnegie Hall for a week. To date, Chicago has sold over 40 million units in the U.S., with 23 gold, 18 platinum, and 8 multi-platinum albums. They have had five consecutive number-one albums on the Billboard 200 and 20 top-ten singles on the Billboard Hot 100. They were inducted into the Rock and Roll Hall of Fame in 2016. In 2017, original band members Peter Cetera, Robert Lamm, and James Pankow were elected to the Songwriters Hall of Fame for their songwriting efforts as members of the music group. Chicago Christmas: What's It Gonna Be, Santa?